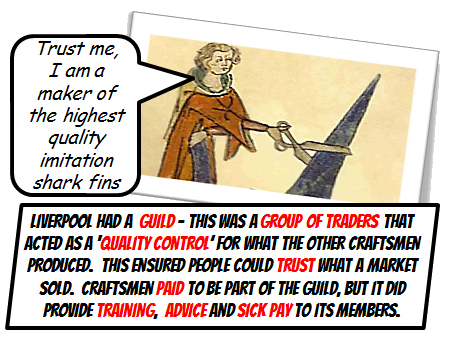 The Liverpool medieval feudal system – know YOUR place! 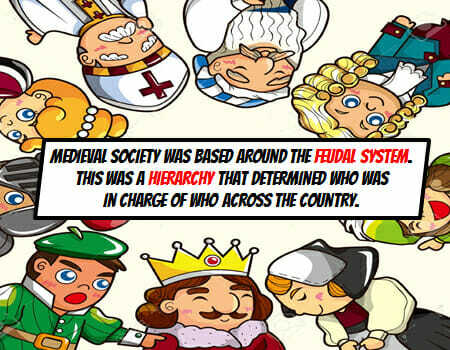 the liverpool medieval feudal system was based around a hierarchy that determined who was in charge of who across the land. 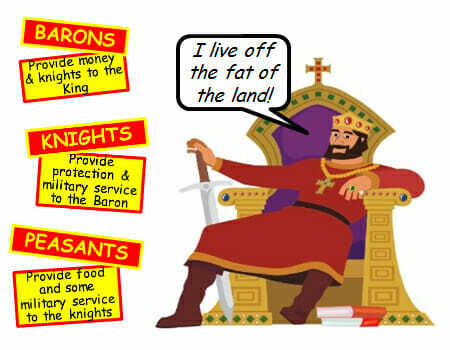 At the top of the liverpool medieval feudal system was the King. He gave lands over to his Barons (rich noblemen), the Barons in turn gave land to the knights (the tough guys), in return for protection and military service. 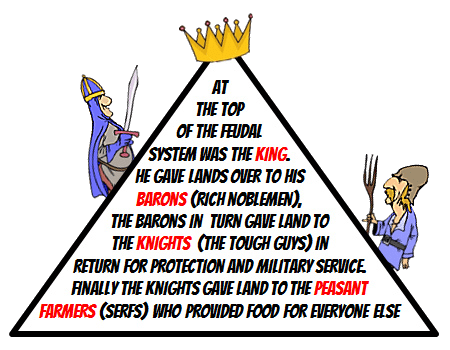 Finally the knights gave land to the peasant farmers in exchange for food. 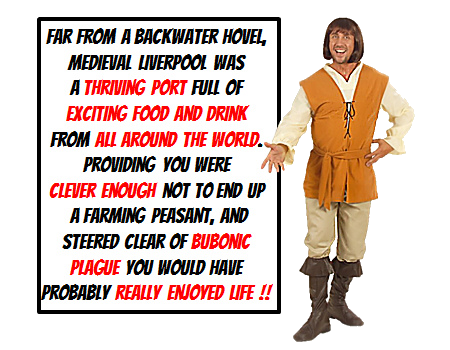 Bottom of the heap in liverpool medieval feudal system were the peasants – also known as serfs or villeins. 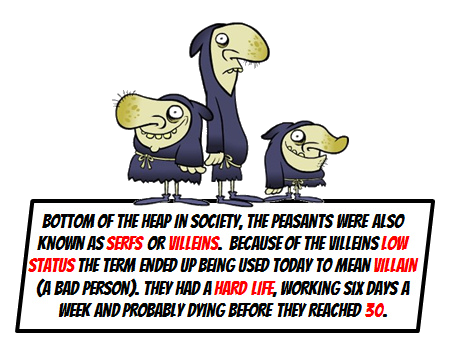 Because of the villeins low status the term ended up being used today to mean villain (a bad person). The villeins life was a bad one, working six days a week and probably dying by the time they were 30. 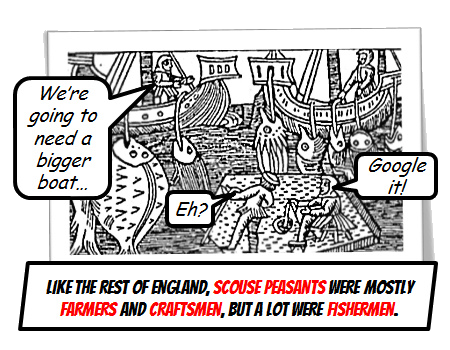 Most peasants in the liverpool medieval feudal system were little more than slaves. 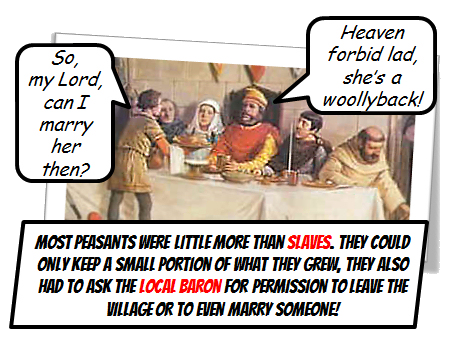 They could only keep a small portion of what they grew, they also had to ask the local Baron for permission to leave the manor or to even marry someone! 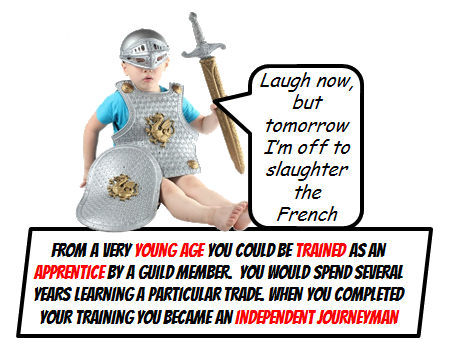 The more skilled peasants were known as freemen became craftsmen – carpenters, bakers, blacksmiths and so on. They were known as journeymen and could travel from town to town selling their wares. Like most of the country, scouser villiens were mostly farmers and craftsmen, but a lot were fishermen. 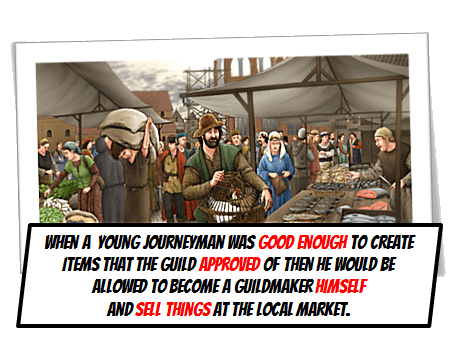 When a journeyman was good enough to create items that the guild approved of then he would be allowed to become a guildmaker himself and sell things at the local market. 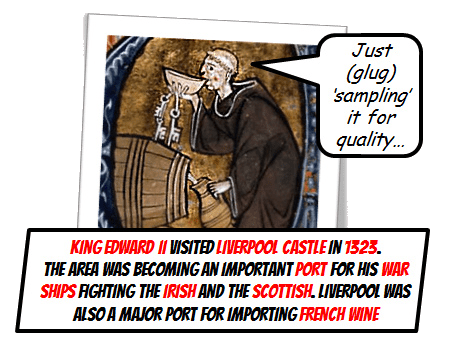 Far from a backwater hovel, liverpool medieval feudal system was a thriving port full of exciting food and drink from around the world. Providing you were clever enough not to end up a farming peasant you would have probably really enjoyed life.